The US State Department has claimed that Russia has removed parking spaces reserved for American consular staff outside mission buildings. US diplomats are set to challenge the move with the Russian Foreign Ministry. “We can confirm that the parking spaces, previously reserved for the US consular personnel, have been removed. 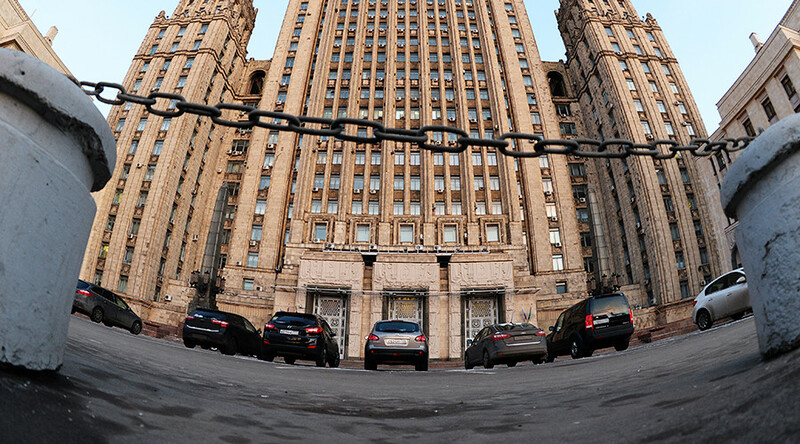 We will raise the issue with the Russian Foreign Ministry,” a US State Department representative told RIA Novosti. Russian facilities in the US do not have dedicated parking spaces outside the diplomatic properties. 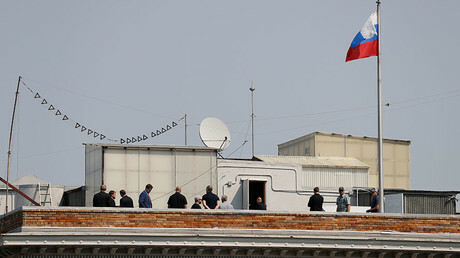 “There have been measures undertaken to remove the parking spaces near the consulates [situated in St. Petersburg, Ekaterinburg and Vladivostok],” spokeswoman for the US Embassy in Moscow told TASS. The three parking spaces near the US Embassy in Moscow have been also removed, Maria Olson said. The removal of the parking spaces has not yet been confirmed by Russian officials. The move, however, has been reported in Russian media among the possible retaliatory measures for the shutdown of the three Russian diplomatic facilities on US soil earlier this month. On Tuesday, an illegal parking space near the US Consulate General in St. Petersburg was closed, according to media reports. Cars have been apparently parking for years in a pedestrian area, and it has now been marked as a pedestrian crossing. Earlier this month, road signs allowing US Consulate General personnel to exclusively park in front of the mission in Ekaterinburg were removed. The ongoing bitter row over diplomatic properties between the US and Russia was triggered by the decision of then-President Barack Obama, who expelled 35 Russian diplomats and seized two diplomatic properties in December 2016. Moscow has repeatedly urged the US to reverse the decision, but eventually went for retaliation, ordering Washington to cut its diplomatic personnel in Russia by 755, to match the numbers of the Russian diplomats in the US. “If the US makes parity a criterion, we will bring those conditions in full accordance with what is called parity,” Lavrov said, noting that Russia had actually included the Russian mission to the UN in the numbers of its diplomatic corps. The issue of the disparity between Russia and the US in numbers of the diplomatic staff was addressed by Russia’s President Vladimir Putin last week. “We have agreed with our [American] partners that there should be parity of the number of diplomatic staff in Russia and the United States. There were some 1,300 diplomats from the US; we had 455. We fixed this,” Putin told reporters last Tuesday. “But among those 455 diplomatic staff working in the United States, there are 155 people working at the United Nations. Strictly speaking, they are not part of the diplomatic corps accredited by the US State Department,” he added.